Jensen Ross Ackles was born on 1 March 1978, in Dallas,Texas USA. He is an actor and director, who is probably best known for working on such television shows as “Days of Our Lives”, “Smallville”, and “Supernatural”. During his career Jensen has been nominated for and has won numerous awards. Some of them include, Soap Opera Digest Award, Constellation Award, Teen Choice Award, TV Guide Award and others. In addition to these, Jensen has also worked on several video games, and has been involved in other activities since beginning his career in the mid-’90s. So how rich is Jensen Ackles? It is estimated that Jensen’s net worth is now over $10 million. The main source of this sum of money are his appearances in very successful and popular television shows. Of course, his activities as a director have also added a lot to Jensen’s net worth. What is more, Ackles is also involved in other projects that have an impact on his popularity and net worth. Jensen was familiar with acting from a very young age as his father was an actor himself. When he was only two years old, he started modeling, and appearing in various television commercials. His career as an actor began in 1996, when he appeared in such television shows as “Cybill”, “Mr. Rhodes”, “Sweet Valley High” and others. 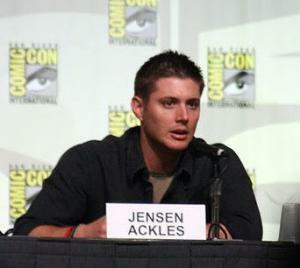 Step by step Jensen’s popularity grew and he became more recognized among the producers of other television shows. In 1997 Jensen received an invitation to become a part of the show called “Days of Our Lives”, created by Ted and Betty Corday. He worked on this show for three years and gained a lot of acclaim for his acting skills. The success and popularity of this show had a huge impact on the growth of Ackles’ net worth. In 2004 Ackles was cast in the role of Jason Teague in the well-known television show, “Smallville”. During the making of this show, Jensen worked with such actors as Kristin Kreuk, Tom Welling, Eric Johnson, John Glover and others. In 2005 Jensen started working on one of his most famous shows called “Supernatural”, which is one of the main sources of his net worth. This show became popular all over the world and it still remains popular even after 10 seasons. In addition to his appearances in television shows, Jensen has also worked on such movies as “Ten Inch Hero”, “Devour”, “My Bloody Valentine 3D” and others. These appearances also added a lot to Jensen’s net worth. As mentioned, he has also worked on such video games as “The 3rd Birthday” and “Tron: Evolution”, to the benefit of his net worth. It is clear that Jensen has a lot of fans all over the world and he has gained the acclaim he deserved. If to talk about Jensen’s personal life, it can be said that in 2010 he married Danneel Harris, with whom he has one child. All in all, Jensen is a very talented, and one of the most experienced actors in the television industry, as he has been working as an actor from a very young age. There are numerous fans who are waiting for him to appear in new projects and hopefully this will happen soon. 1 Life itself is worth living for. If you're not living the life that you want, you fight to achieve that life. 2 [on Jared] I would jump in front of a bullet for him and not think twice. 3 Some people will go to the opening of an envelope. They live their lives in the public eye and get off on it, they need it. They need that kind of adoration. If their name isn't in the tabloids once a week they feel like a failure. I choose to live a more private life, as does Jared [Padalecki]. We just don't believe in that sort of thing of 'it doesn't matter what they're saying so long as they're talking about you'. 4 On working with Jared: Jared and I are lucky to get along so well without having any effort to make. One day, the producers came to see us and told us they had never worked with actors who got along so well. It gives us the opportunity to make the relationship between Sam and Dean have credibility. I think the audience feels how much Jared and I like being together. 5 [on 9/11] 9/11 was unreal. I happened to be in Canada at the time and really didn't get a sense of how awful it really was until a few days later when it hit me like a ton of bricks...that the place I call home, the country that is invincible, my country of pride and freedom, the place we all feel safe, had been completely violated. I immediately jumped on a plane and flew to be with my family. It really frightened me. I pray to God that this new evil in our world will be abolished quickly. 6 I'm a mad Gummi fan. I always have Gummis in my trailer. But you can't eat too many because then you get Gummi tummy, and that's no good. I can't believe I'm saying this. 7 I love the smell of shampoo on a girl's hair. You can walk past someone and be like, 'Wow, you took a shower this morning, didn't you? Because you smell lovely! 8 [on Dean Winchester's reaction to his father's death on Supernatural (2005)] "A lot of issues, yeah. Dean's definitely having issues on camera. I'm just having issues because I don't get to hang out with him [Jeffrey Dean Morgan, who played John] anymore". 9 Being from Texas, I would say I favor a pair of jeans you can wear some boots with. 10 "When I was in middle school, some of my so-called friends found a catalog ad I did for Superman pajamas. They made as many copies as they could and pasted them up all over school." - on his most embarrassing moment. 1 Graduated from Berkner High School with Stephanie Ware and Curtis Thomas in 1996. 2 Announced that he and wife Danneel Ackles are expecting twins later this year . 3 Has sung lead vocals on two songs on the albums "Sharing the Covers" and "Christmas With Friends". 4 Was considered to played Leon Kennedy three times in Resident Evil: Extinction (2007), Resident Evil: Afterlife (2010) & Resident Evil: Retribution (2012) which went to Johann Urb and Steve Rogers/Captain America in Captain America: The First Avenger (2011) which went to Chris Evans. 5 He has English, German, and smaller amounts of Scottish and Irish, ancestry. Many of his ethnic German ancestors lived in Russia. 12 Ranked #39 on Empire Online list of the "100 Sexiest Movie Stars" in 2013. 13 Had his first daughter with wife Danneel Harris Ackles, named Justice Jay "JJ" Ackles, born on May 30, 2013. 14 On the film set of Cheaper by the Dozen (2003), Jared Padalecki met Tom Welling, who played Clark Kent on Smallville (2001). Before the start of Supernatural (2005), Jensen also played on Smallville. Both shows filmed in B.C. Vancouver, in the CW lot, and they are all now real-life friends. Tom and Jared, are both pranksters. 15 Best friends with his Supernatural (2005) co-star, Jared Padalecki. Jared Padalecki even calls Jensen's father Papa Ackles. 16 His first name is actually a surname and is the most common surname in Denmark. 17 Was offered a role as Eliza Dushku's love interest on Tru Calling (2003) but chose to take a role on Smallville (2001) instead. Eric Christian Olsen was eventually given the role and the character's name was changed to Jensen. 18 He is a keen photographer and is always taking photos on the set of Supernatural (2005). 19 His parents were going to name him Justin but his parents thought it was too common. 20 His career has an ongoing theme of dealing with demonic forces. His character's mother, "Marlena" on Days of Our Lives (1965), was possessed by the Devil. In the movie Devour (2005), he was the son of "Satan". On his television series, Supernatural (2005), his character battles the forces of hell. 21 Good friends with Christian Kane. 23 He is the son of actor Alan Ackles and Donna Joan Shaffer. 24 Also sings and plays guitar. 25 Was runner up to Tom Welling for the role of Clark Kent on Smallville (2001). Was brought onto the show in season 4 as Lana's boyfriend. 26 1990 graduate of Dartmouth Elementary School in Richardson, Texas. 27 1993 graduate of Apollo Junior High School in Richardson, TX. 29 Planned to study sports medicine at Texas Tech University and become a physical therapist, before he decided to move to LA to give acting a try. 30 Fan of the Dallas Cowboys. 31 Played baseball and lacrosse in high school. 32 Was a child model at age 4, then quit, and started again at age 10. 33 Has one brother, Joshua, approximately three years older, and one sister, Mackenzie, approximately seven years younger. 34 Graduated from L. V. Berkner High School, Richardson, Texas in 1996. Dawson's Creek 2002-2003 TV Series C.J.